Get fast professional laptop screen replacement and repair by our certified and experienced technician. We will remove your damaged laptop LCD/LED screen, and install a 100% Brand New Medion laptop screen. Our Medion laptop screen replacement technician will go to your home or office to complete Medion Laptop Screen Replacement in Sydney. 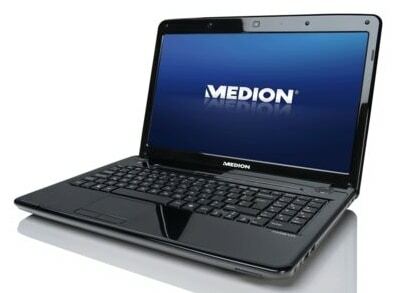 We can also organize Medion laptop screen replacement anywhere else in Australia using our reliable courier service. This is usually the cheapest and easiest option for most people. We understand you need your laptop back fast, so we stock parts for every repair; that is why we can have your laptop screen replaced on the same day. We can help you no matter where you are in the Sydney and surrounding areas. Our technicians are fast and fully qualified. Your laptop will be fixed quickly on spot in front of you. Call us at 0402 738 038 or email us at info@laptopscreenreplace.com.au if you have any questions or arrange an appointment to have your Medion laptop screen replacement. we have experts waiting to replace and repair your laptop screen.